Having the right amount of possessions will help you declutter your home easier; You’ll be more focused on the tasks at hand; You’ll consume fewer things, thus have more money at your disposal. 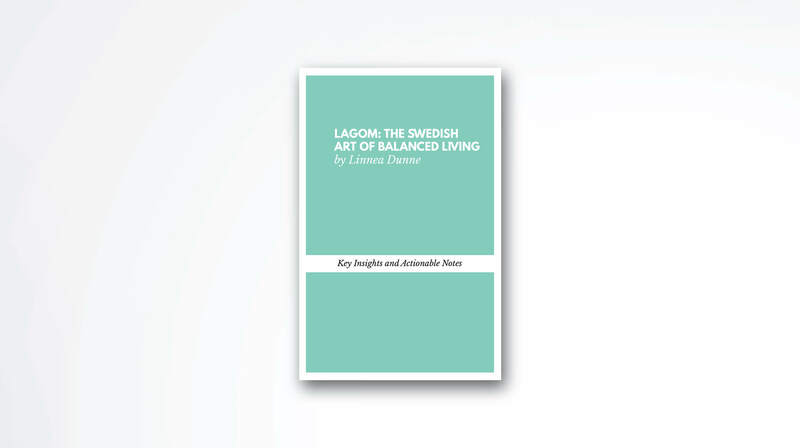 In Lagom: The Swedish Art Of Balanced Living, the author assist us in becoming more conscious about what physical objects we let inside our lives. The word lagom (pronounced “lah-gom”) is a Swedish concept that roughly translates to “not too little, not too much, just right.” Since the current world is becoming a battleground of products and companies, all of them fighting for market share and for our trust. 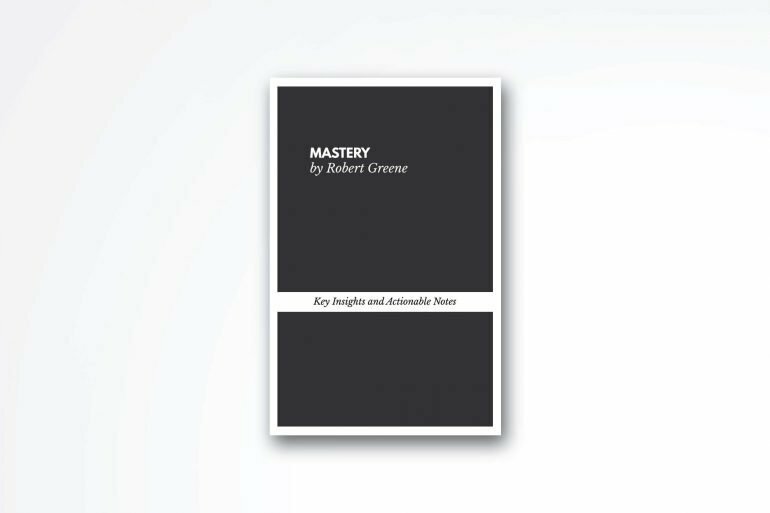 This little book offers a way to immune yourself from the constant urge for wanting more, a way to be happier, healthier and much more satisfied with having “just right” amount of possessions. Lesson #1: What Exactly Is Lagom? There isn’t an exact equivalent in the English language for the word, lagom. The closest definition is this one: “not too little, not too much, but just enough.” Imagine eating the right amount of food or buying a practical car. Even though it won’t be the most beautiful vehicle on the market, it’s exactly what you need. In the end, a car is just a car. The main purpose is to take you from point A to point B, cheap, safe and without hassle. Lagom is also widely translated as “in moderation”, “in balance”, “perfect-simple”. But it’s more than a funny word. It’s a salvation for our current culture. It’s a different way to look at the world, what does it mean to be happy and successful. Instead of constantly wanting more clothes, more money, more food, more likes, more stuff in general. Lagom preaches balance. A chance to separate the necessary from the “I can live without” things. We need balance in every aspect of our lives. Right now we, people, put money and fame on pedestal plus all the other things we don’t have but look cool. Quite a destructive behaviour if you ask me. The constant desire for more money turns into permanent dissatisfaction no matter the successes one reaches. It’s like an endless loop of wanting more things. This is where lagom comes to the rescue. Offering moderation and balanced way of living. I encourage you to embrace this new way of thinking and acting in your daily life. Instead of always wanting more new stuff, look around and see what you currently have. In 99% of the cases, it will be enough. And once you see and accept that, this simple act will save you tons of money, time, frustration, but above all, it will give you a piece of mind and a better life. You must say “stop” when you’ve had enough. Life is already too complicated. There are thousands of things fighting for our attention daily: social media interactions, live interactions, pressure coming from our regular jobs, family members, friends, society as a whole. I recently spent more than 30 hours choosing a new laptop. That’s insane. That’s a huge waste. That’s also not lagom. I simply wanted to find the perfect product for the money I was about to spend. Ok, but at what cost? I was off balance. No stress, no squander, simple focus towards things that matter. That’s what I need, you need, everybody needs. Physical space: Choosing to go with a clean design is probably the best decision you can go with. Removing what you don’t need will free space in your office, home, even your car. Allowing you to live in a more peaceful place. Mental space: Isn’t it crowded? I mean, in your head? An authentic and focused way of living is like a mythical creature – no one has ever seen it in real life, but everyone is talking about it. Our minds are often busier than the LAX airport. Learn to step back and stop your mind from being overcrowded by things that don’t matter. Improved lifestyle: Becoming extremely conscious about how you spend your money, will evolve to a more peaceful, secure, satisfied lifestyle. It’s not about having the latest gadget on the market, it’s about having the right amount of things that you really need. Being alone with yourself, and your own thoughts is something we rarely do nowadays. People love the idea of socializing but only through social media. The main benefit of living in the 21st century is being connected to the internet. This network gives you endless possibilities: connection with other people around the world, opportunity to work, a source of knowledge, being able to purchase goods, etc. Even though the advantages are immense, there is one huge downside: we forget that being alone is something of a great importance for our personal development. Clearing your schedule for your personal projects is the best gift you can give to yourself. It’s hard to focus when notifications and messages are constantly popping on your screen. That’s why you should always find time for your own needs. Switch off your phone, block social media, and give yourself a couple of hours to do the things you really want to do. Why? Well, because the 21st century has another benefit. It’s never been easier to create something great and turn it into your way of living. We simply have to disconnect ourselves from the online world and find peace with ourselves in the offline world, which happens to be the real world. If you open the closet right now, how many things you will find in just a few minutes that you haven’t worn for the past year? I bet you’ll find more than one. Actually, I think that 50% of your clothes are simply taking space. Functional mindset is not only about throwing stuff. It’s also about buying more practical stuff. Instead of owning 10 different jeans, leave only two pairs. When you go to the mall, think function, instead of looks. Ask yourself the following two questions: “Are these going to match my other clothes?” and “Do I really need it?” Make your wardrobe small but functional and buy new clothes only when you really need them, not because there is a new trend. In my past life, was influenced by fashion trends, which led to acquiring many clothes that I’ve worn only once or twice. Huge waste of money and time. Now, my wardrobe is narrowed. I have only the essentials pieces of clothes, but I don’t freak out every time I have to go out. Not that I still don’t have things I don’t wear, but they are a lot less than before. Try applying the same technique to everything. Focus on practical, affordable gadgets, you don’t have to necessarily buy the most expensive TV in the store to watch television. You need a piece that will go along with your other furniture. Actually here, need is not the right word. Before buying something, first, think about do you really need it in the first place. Since lagom is all about living a more balanced life, we can’t go without mentioning adopting recycling habits. The book is full of tips and suggestions about how to protect the planet. Something we’re neglecting lately – like in the last 200+ years. Use reusable water bottles: This will prevent you from buying glass or aluminum cans. Recycle your waste: Throw your waste in the correct department, always. Cycle: Buy a bicycle and use it on a daily basis. Use the public transport whenever you can’t cycle. Buy Less: Buy enough food, clothes, basically, buying enough from everything will mean less trash. Swedes actually have a special word for the last bullet: köpstopp. It’s forbidding yourself from purchasing anything, anything at all. Well, at least for a short period of time, and without taking into consideration food. The idea is actually great. You say No to everything for a month or so, and during that time you save money, help the environment and feel better. These things may seem like insignificant compared to the vast quantities of goods manufactured each day, the number of people using their cars and the waste that’s being produced. Still, that shouldn’t discourage you. The change should start from somewhere. Share your habits with others. All the small things you do, when they’re towards something meaningful, this will soon find a wider audience. The 30-day cleaning challenge: A challenge shared in the book is of arithmetic progression cleansing. Meaning, removing one item on day one, two on day two, three on day three and so on until the month is over. This is a great way to free yourself from the useless things crowding your space. Count to 10 method: the next time you need to go shopping, put your critical hat on, count to ten, ask yourself do you really need it, and then decide. Try it. Be the change you want to see: Being an eco-warrior can be frustrating. And you don’t have to start a riot to inspire others to use less plastic. Simply share your ways with the world. Explain why you’re riding the bike and why you’re wearing the same clothes daily. The book focuses a lot on the Swedish lifestyle, which is ok, but at times the text sounds more like an advertisement: “Pack your bag and go live in Sweden.” Something I didn’t quite like. Surely, Sweden is a great country. You can’t argue with that. It’s one of the top ten countries in the World Happiness Report, IKEA’s birthplace, it offers amazing landscape, nature, etc. Still, the exaggerations from the author are a bit too much and sometimes even annoying. What I did like is the second message the author is trying to communicate with the reader: protect the mother nature. As I already mentioned, many of the things included in the book will teach you how to live with less. This also includes how to save electricity, money, food, which is written in a sense to save our world. To become aware of how consumerism is destroying what we have, what we take for granted, and how to start doing something about mother nature. My personal takeaways are the following: Don’t aim for more. Aim for enough. Enough food, clothes, working hours. I’ve read something today: Book Summary of Lagom By Linnea Dunne. What did you do online?